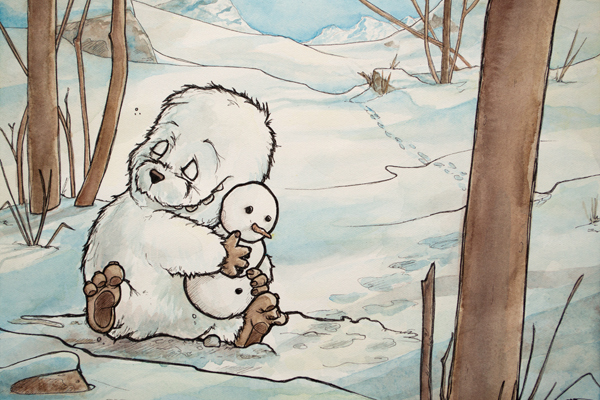 This sweet print will bring warmth to the hearts of you and yours all months of the year. This print of the original ink and watercolour on paper is beautifully printed on 12pt card stock to bring out the richness of the colours. A generous white border accommodates framing options.